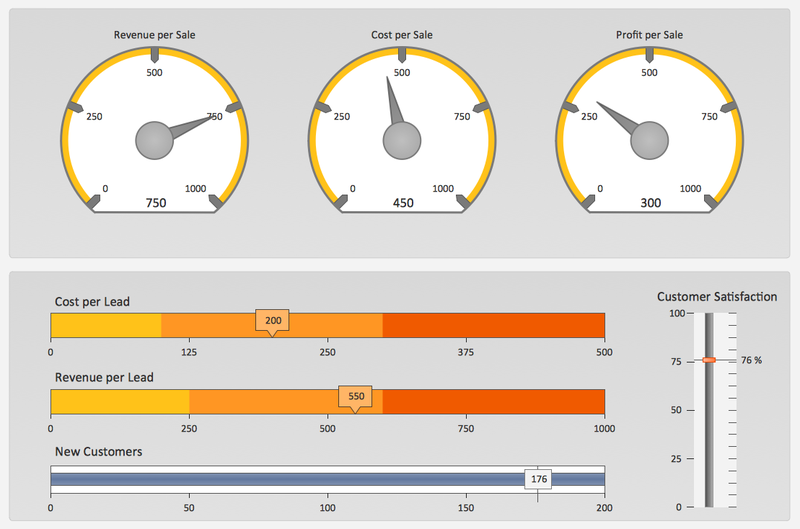 The Sales Dashboard Solution gives users the ability to use live data to drive KPI dashboards that show sales performance in a wide variety of graphs. KPI Dashboards allow users to capture and report specific data points from sales department within the organization, thus providing a "snapshot" of performance. Using ConceptDraw DIAGRAM v12, you can save diagrams as a Web pages. ConceptDraw DIAGRAM v12 adds the HTML tags that are needed to display your diagrams in a Web browser, so all you have to do is design their appearance.